AIIMS 2019 Application Correction in rejected images has been started from 8th February 2019. All India institution of Medical Sciences (AIIMS) is a group of seven medical institutions. AIIMS MBBS is a national level entrance exam. It is conducted for offering admission in the UG medical courses such as MBBS. AIIMS is organized by the AIIMS, New Delhi on yearly basis. Candidates can get admission in one of the nine institutions of AIIMS in India. Candidates can check here the AIIMS 2019 application form correction. 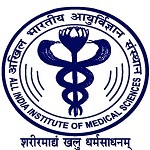 AIIMS MBBS 2019 Final opportunity for the candidates to re-upload the rejected images has been started from 8th-11th February 2019. The final status will be uploaded on 12th February 2019. Click here for application form correction. Candidates those wish to make corrections in submitted AIIMS application form can correct the mistakes in given time. The exam conducting authority will provide the correction facility which can be done through online mode. Candidates are allowed to make correction in the wrong uploaded images in the application form. The corrections facility has been provided to candidates who have submitted their application fee and opted the exam city. Candidates have to login on the official website for correction. Candidates can edit and re-uploaded the images as per the given specification by the authority. AIIMS application form 2019 is started from 30th November 2018. The status of basic registration has been published on 17th January 2019. The correction facility will be started from 18th January 2019. The corrections can be done till 22nd January 2019. After making corrections, candidates can check the final application status on 25th January 2019. No correction in the application form will be permitted to make after the last date will over. Candidates can make corrections in the uploaded image, qualifying exam, personal details, etc. Corrections can be done only in the stipulated time. Candidates are advised to must go through the prospectus, familiarize with the requirements and fill the application form accordingly. The authority will issue the admit card only to the candidates those application form and images will be found correct in all respects. Corrections can be done through login window of the applicant. After making corrections in the application form candidates can check their application status. Candidates can follow the procedure to make corrections. Click on the ‘Applicant Login’ window. Enter your login credentials such as candidate ID and password. Submit the details by click on ‘Submit’ button. Make correction in which field you want to do. Save the changes and take printout of it. Keep the printout till the releasing of admit card. If you have any other queries about AIIMS Application Form Correction 2019, you can leave your comments below in the comment box. How to correct the uploaded application form.I want to correct my roll no. I have mistakenly submitted a different aadhar number on the application form, what should I do? Sir.. .maina Apni form me photo white background me nahi upload kiya ha. ..koi problem hoga Kya… ??? Can i correct it .. I have filled wrong qualifying details. Can I edit it??? By mistake I have entered wrong qualification details. When will I be able to correct it? I have noticed my two address have merged into one in the permanent address section ..will there be any problem due to this? Other details details are all fine. Wait for the opening of correction window. Can I change the name after payment…..? Mother name is filled wrong in my form. I applied for AIIMS Entrance exam for my niece. and by mistakenly I put April 2000 DOB instead of May 2000. I tried to edit DOB or make new candidate ID for her but I was not able to do it. I do really appreciate if you can help me on this. Let me know if you require more information from me. I have not yet received my login credentials. So I’m unable to proceed with my registration further. I have typed my 10 roll no wrong can I correct it ? After my aiims 2018 application is been submitted plz do reply. Does Aiims Will sent any notification for correction of the forms..
How would I came to know.about that. I have entered wrong birth date by mistake and submitted the form.How can I change it? Can it be changed on the correction date given by AIIMS? Hi,i had applied for MBBS 2018 and by mistake qualification exam status fill appeared inplace of appearing, can it be corrected ? I have given my total marks in aiims form. It asked for only english,&PCB. Can i correct it. I have submitted the form. if there is any correction, or upload photo, if any changes of left thumb impression etc will done or not.?? My payment is complete but my name was not saw there. So can you help me how it will be visible? Sir, I have given my qualifying exam no for best of 5 subjects in 500 as done by WBCHSE. But now I see that they have asked for English, Chemistry, Physics, Biology only. How can I correct it and when? If a student studied 10th in india & 11th and 12th in abroad (ie. At gulf- Bahrain) in CBSE School. Currently studying 12th. In the qualification details…on the state name. Which state to be mention.?. Pl clarify and guide.. In aiims form 2018 equalify exam details have4subjects i.e except hindi but,i have put all 5 subjects.How can I correct this mistake. Is there any chance to correct this. Can anyone help me? I’m still not able to find the application form for AIIMS 2018. Has the form released? If yes then which is the actual site? sir my thumb expression was not clear …nd also my signature was so small..in the form sir can i change my signature nd thumb expression later on.. I have entered my gender wrongly in my application form .So please let know when i can be able to correct it. I am also facing same problem..If you have resolved it out ..Then . My mother’s name and academic details were filled wrong. How i can correct it after fee payment and complete submission? I have submitted wrong percentage . Can it be corrected ? Sir, I have given by mistakenly wrong date of birth in my application form, can i correct on same profile, please advice. any chance for correcting date of birth of th eapplicant ? I have given my right thumb print and i have filled my form right now..
Sir ihave submitted application form but it has a mistake in my mothers name instead of Sushama Manjari Khamari it has been written Sushama Manjari Khamarri . Can i change this name in my submitted application form. Sir please reply to my email as soon as possible. Actually today i fill the aiims 2018 application form and did a silly mistake . I also gave the last year aiims exam but in the option where we need to declare that canditate had appeared at aiims entrance exam earlier or not… I mistakenly answer no… So how do i improve my mistake..
Now you should wait for correction period. Hi I had applied for MBBS 2018 and by mistake I had typed wrong date of birth can it be corrected. How to change year of appearance in aiims form MBBS 2018? I have filled my DOB wrong will it b corrected? By mistake my photo, signature,and thumimpression was uploaded wrong.. can I correct my application form?? Wait for opening of correction window. If date of birth is filled incorrect then is there any solution? The application status has been uploaded on site. You should check your application status.